Misha Glenny is a distinguished journalist and historian. As the Central Europe Correspondent first for the Guardian and then for the BBC, he chronicled the collapse of communism and the wars in the former Yugoslavia. He won the Sony Gold Award for outstanding contribution to broadcasting. The author of four books, including the acclaimed McMafia, he has been regularly consulted by the US and European governments on major policy issues and ran an NGO for three years, assisting with the reconstruction of Serbia, Macedonia and Kosovo. He now lives in London. 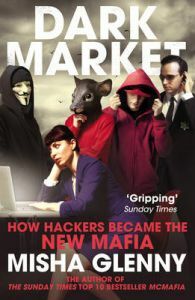 website: www.darkmarketinsider.com twitter: @MishaGlenny.